28 IR Day & Night Weatherproof Color Camera. EIR28-F4240. 1/3 inches CCD. 420 TV Lines. 28 IR LED. 4.0mm Lens. IR Distance up to 65ft / 20m. Double glass designed to prevent IR light refraction & diffusion. IP66 Rating. 400mA max @ IR inches on inches / 135mA @ IR inches off inches . 12V DC. 1/3 inches CCD. 480 TV Lines. 4.0mm Lens. 35 IR LED. Distance up to 100ft / 30m. 12V DC. 1 Year Warranty. 1/3 inches CCD. 420 TV Lines. 5.0mm~15.0mm Vari-Focal Lens. 56 IR LED Distance 130~160ft / 40~50m. 12V DC. 1 Year Warranty. 1/3 inches Super HAD CCD. 420 TV Lines. 3.5mm~8.0mm Vari-Focal Lens. 36 IR LED Distance up to 82~98ft / 25~30m. 12V DC. 1 Year Warranty. IR Distance up to 395ft / 120m. 11 Super Power IR LED. 6pc x 25º / 5pc x 45º IR Distance up to 395ft / 120m. IP66 Rating. User Adjustable IR LED Intensity (VR). Factory Default 80%. Fully-Cable Managed Mounting Bracket. Uses professional rust-proof stainless steel screws. Heater and Blower. 24V AC. 60VA. Power Ready Plug for 12V DC Camera. Camera not included. Recommended camera: SHM-7550DN. 1 Year Manufacture Warranty. 12 Super Hi-Power Regractor IR LED. IR Distance up to 395ft / 120m. User Adjustable IR LED Intensity (VR) Factory Default 80%. Fully-Cable Managed Bracket. Pan Tilt 1/3 inches Super HAD. 530TVL Color. 4.3mm Lens. 12VDC. 1 Year Warranty. Pan Tilt 1/3 inches Super HAD. 530TVL Color. 6.0mm Lens. 12VDC 1 Year Warranty. Pan Tilt 1/3 inches Super HAD. 530TVL Color. 4.3mm Lens 17LED Day and Night. 12VDC. 1 Year Warranty. 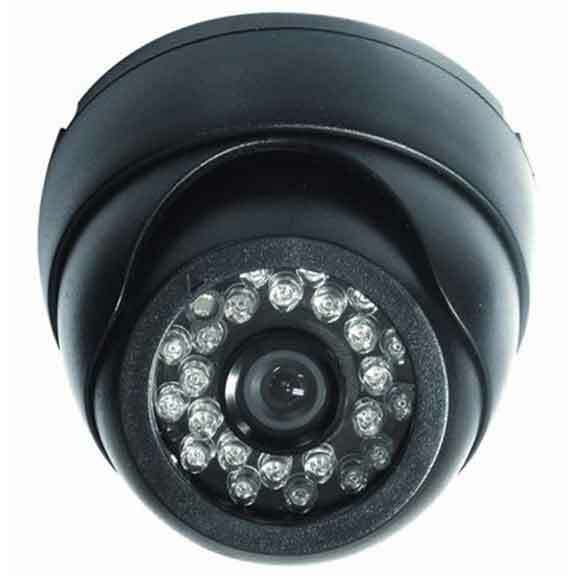 We have a wide range of IR Cameras available at SF Cable. We have IR dome color cameras, IR Day and Night weatherproof color cameras, IR Day and Night weatherproof bullet color cameras, long range IR Day and Night weatherproof color cameras, IR Day and Night weatherproof dome color cameras, Hi-Power IR LED Illuminator with Heater & Blower Die Casting Housing & Bracket, Hi-Power IR LED Die Casting Aluminum Alloy Housing with Cable Management Bracket, Indoor mini PT cameras, 3-AXIS Varifocal Effio-E Vandalproof Dome Camera, 3-AXIS Varifocal Effio-E Vandalproof Dome Camera Dual Power, IR Led True D/N ICR AI cameras, Zoom Camera with 11 IR LED Illuminator Housing, etc. All of it made accessible to you at very reasonable prices by SF Cable. All the products are RoHS certified, speaking for the safety of the product.